Allston, one of Boston's most vibrant and energetic neighborhoods, is a diverse community that close to 30,000 people are proud to call home. When an accident happens - whether it's a rear-end crash on Commonwealth Avenue or pedestrian injury at the intersection of Harvard Avenue and Gardner Street - you will need an experienced attorney. Famous for its rows of 19th-century Victorian homes, Back Bay is a culturally significant neighborhood and popular shopping destination for residents and tourists alike. But from Copley Square to Newbury Street, accidents can happen fast. If you've been injured or a loved one was hurt in a crash, we can help you get the compensation and closure you need. Bay Village, known as Boston's "hidden historic neighborhood," is best known for its brick-paved sidewalks and ease of access to some of the city's finest restaurants and concert venues. Whether you were injured in a head-on crash on Isabella Street caused by a wrong-way driver or a rear-end crash on Piedmont Street, you can count on us to fight for you. With beautiful row houses and sidewalks made of brick, Beacon Hill is home to the Massachusetts State House, the Paramount and a number of other popular attractions. But the combination of narrow streets and heavy traffic can make one of Boston's oldest, most historic neighborhoods a danger for drivers and pedestrians. Known as "Little Cambridge" during its early history, Brighton has evolved into one of Boston's most thriving and diverse communities. But car accidents can happen fast on Washington Street, near the Chestnut Hill Reservoir or Brighton Music Hall. Knowing what to do after an accident may be the difference between a quick recovery and years of financial hardship. Charlestown, the oldest neighborhood in Boston, is home to popular landmarks such as the Bunker Hill Monument and U.S.S. Constitution. You can take a step back in time walking or driving in this historic neighborhood. If you are in an accident, let us know immediately. No matter the type of accident you've been in, it's critical to contact an experienced attorney. Best known for its terrific dining and entertainment options, Chinatown is home to more than 30,000 Bostonians. The nearby Leather District offers "loft living" options that residents love. Whether you've been injured on Harrison Avenue or while approaching the Tufts Medical Center "T" stop, your car accident deserves serious and immediate legal representation. As one of Boston's most vibrant and diverse neighborhoods, Dorchester is home to countless restaurants and the "crown jewel" of the Emerald Necklace, the 527-acre Franklin Park. If you were injured in any type of accident in Boston, whether it was a car wreck on Interstate 93 or an accident near Franklin Park, an attorney is ready to help you today. Boston's largest business and commercial districts combine with the Boston Common to create an exciting and vibrant downtown area. But with so many people shopping at Downtown Crossing, visiting Boston Harbor or commuting to the Financial District, accidents can happen in a matter of seconds. Demand justice. With Logan Airport serving as a gateway to Boston for people across the world, East Boston is equally known for its breathtaking waterfront views of the city skyline. Whether you've been injured while crossing the Sumner Tunnel or rear-ended while traveling along Gove Street, your accident demands immediate legal representation from an experienced lawyer. From Fenway Park to Kenmore Square, Boston's Fenway-Kenmore has no shortage of popular attractions for Bostonians, students and tourists alike. But with so many people traveling along Brookline Avenue, Boylston Street, Commonwealth Avenue and visiting some of the city's most popular bars and restaurants, it's no surprise accidents occur every day. With its vast array of small shops and dining options, Hyde Park's community spirit is apparent on both sides of the Neponset River. But from Hyde Park Avenue to the Truman Parkway, accidents can happen in the neighborhood. The steps you take after an accident are critical to your long-term physical, emotional and financial well being. Home to Franklin Park and the Arnold Arboretum, Jamaica Plain has a reputation as one of the "greenest" neighborhoods in Boston. With well-populated neighborhoods such as Forest Hills and Jackson Square home to tens of thousands, sometimes accidents can happen. No matter how you've been injured, it's critical to contact an attorney who will fight on your behalf. Mattapan is a predominantly residential neighborhood that more than 35,000 people call home. But with so many unique shops, restaurants and businesses in such as small area, accidents do happen on busy routes such as Blue Hill Avenue, River Street and Cummins Highway. If you've been injured, you will need an experienced lawyer on your side. Mission Hill is a small neighborhood that's home to more than 15,000 people, several small shops and plentiful dining options. While drivers know they have to navigate Tremont Street, St. Alphonsus Street and Huntington Avenue with caution, some people make careless choices and cause accidents. In addition to drawing visitors from all over the world who want to sample its Italian cuisine and view the public art, the North End is famous for being a densely populated neighborhood with narrow streets. If you're involved in an accident on North Washington Street, Hanover Street or anywhere else throughout the North End, we can help. One of Boston's most diverse neighborhoods, Roslindale shares characteristics of some of Boston's greenest neighborhoods on its west side while maintaining the feel of a busy city neighborhood on the north side. If you were involved in a rear-end crash on Belgrade Avenue, an intersection accident on Washington Street or any other type of accident, you don't have to go it alone. Let us know about your legal problem. Roxbury long ago was a farming community, but was transformed into a thriving industrial town in the 19th century. Today, this diverse neighborhood has undergone another renaissance, with new businesses and housing energizing the Dudley Square, Crosstown and Grove Hall areas. If you were in an accident on Washington Street or Humboldt Avenue in Roxbury, talk to us about your legal options. A popular destination for young professionals for its quick access to downtown, South Boston is home to over 35,000 people. But accidents unfortunately sometimes happen. Whether you've been in a crash on East Broadway, Dorchester Street or Columbia Road, an experienced lawyer is ready to fight for the compensation you deserve after a crash. The South End is one of Boston's main restaurant districts and represents one of Boston's most diverse communities. Whether injured visiting "Restaurant Row" on Tremont Street or while traveling along Massachusetts Avenue toward I-93, your accident demands immediate legal representation from an experienced attorney. The West End is home to North Station, the T.D. Garden and no shortage of dining and nightlife options for residents and tourists alike. But car accidents can happen anywhere - from a drunk driving crash on Portland Street to a rear-end accident on Lomasney Way. It is critical to discuss your legal options with a knowledgeable lawyer immediately. Boston's southwestern suburb may be known for its tree-lined roadways, but West Roxbury remains an accident risk due to its population of more than 30,000 people taking to roadways such as Centre Street and the VFW Parkway every day. Rely on an experienced lawyer to protect your rights after you've been in an accident. 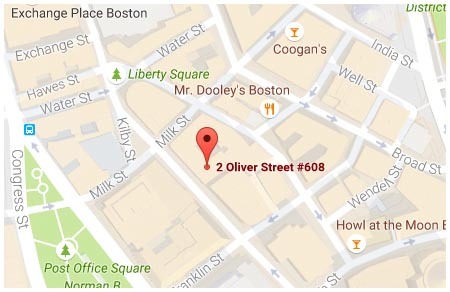 Injured in an accident in Boston? Our personal injury lawyers know what you're going through. That's because we've been there before, working with injury victims from West Roxbury to the North End. We know how to deal with all the legal issues that almost always come up after a serious accident. And we have the results to prove it. No one is going to just give you money after most accidents. You need to demand it! At the Law Offices of Mark E. Salomone, we have recovered more than $500 MILLION in settlements, verdicts and other awards for injury victims and their families. We're proud of our results because we know that money serves a vital purpose in people's lives. It helps them pay their bills and move forward. The pain and suffering caused by serious injuries can be unbearable. Dealing with uncooperative insurance companies can be frustrating. Knowing what to do next can be confusing. Fortunately, you're not alone. Our Boston law firm can help you every step of the way. Accidents in Boston are different. The city's narrow streets and alleys can be nearly impossible to navigate even in the best of conditions. Add snow, ice and aggressive drivers and you have a recipe for disaster. Our law firm knows how to handle all sorts of accidents in Boston. Whatever type of accident you're dealing with, no matter where it occurred, contact our law firm 24 hours a day. We know how the legal system works in Suffolk County, and we do not rest until justice is served. at our office location in downtown Boston. And if you can't come to us, we can come to you - whether it's meeting in your hospital room, your home or somewhere else. You decide. A lot of lawyers talk about what they can do for injury victims. We believe actions speak louder than words. That's why we're determined to earn your trust and get you the money you need to get your life back on track. The key to winning tough legal cases in Boston is simple. We work hard, just like you. That's the Boston way: there's no substitute for putting in the hours to thoroughly prepare a case. All this hard work ultimately gives us an advantage - The Salomone Advantage. So whether your accident occurred in South Boston or Dorchester, we want to meet with you. Remember, you didn't do anything to cause your accident. You shouldn't have to pay for someone else's mistakes. That's why it's critical that you contact our Boston law firm immediately. The sooner you talk to us, the sooner we can get to work on your case.